Don't miss your chance to receive $20.00 off when you spend $100.00 at Space NK. Offer valid through Sunday, May 1. 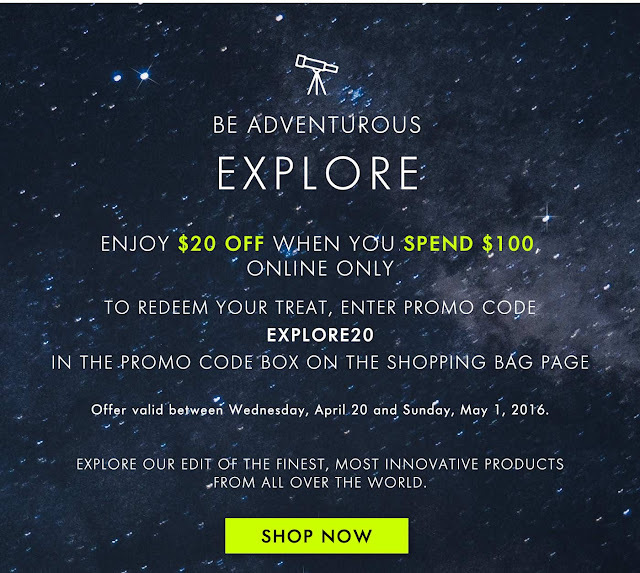 USE CODE: EXPLORE20 (Affiliate Links). I took advantage of the Beauty Benefits event in the store yesterday and then came home to the email about this.... I really didn't need a thing but wanted two of the items in the bag. The Goldfaden MD face oil. That certainly makes sense to me!